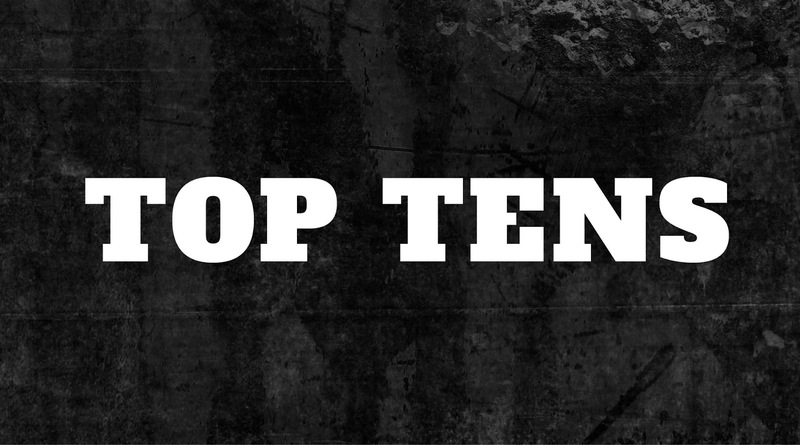 What a year it's been for Be Sharp Promotions. 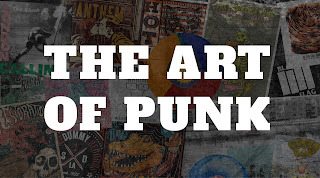 In 2018 they've booked Teenage Bottlerocket, A Wilhelm Scream, Lightyear, Random Hand, The Toasters, Pkew Pkew Pkew, Red City Radio, The Penske File, Fandangle, [Spunge], Nothington, Vanilla Pod, The Bennies, Get Dead, Death By Stereo and, of course, Goldfinger. It's been absolutely incredible. 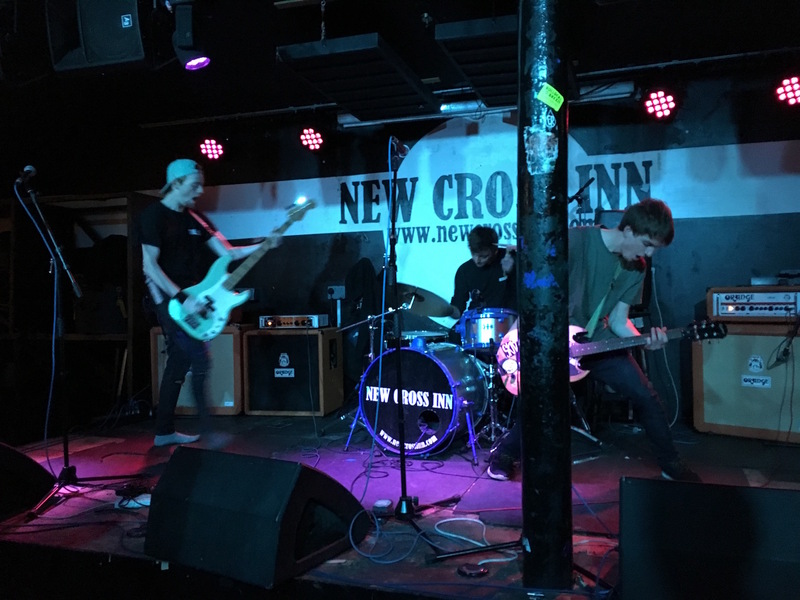 Now as we're getting towards the end of the year, the brothers Smith had yet another incredible band lined up to play London's best venue, the New Cross Inn. 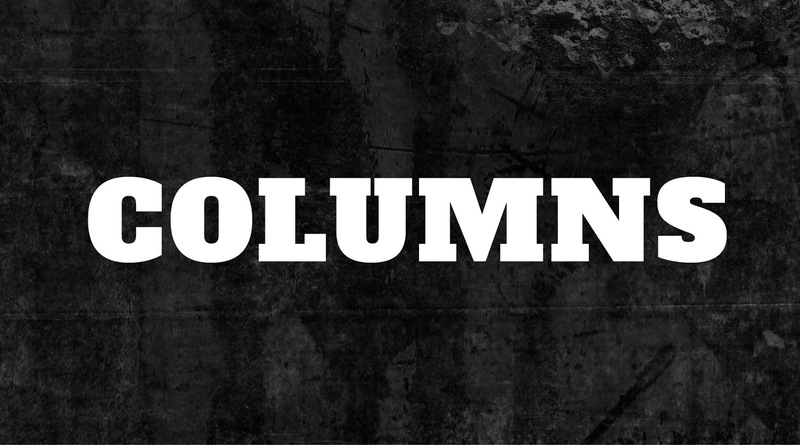 Rehasher were in the middle of their first ever UK tour and boy golly I was excited. If you're unaware who Rehasher are, they are Less Than Jake bass player Roger's other band who play fast punk rock songs rather than the ska that has made Less Than Jake famous. 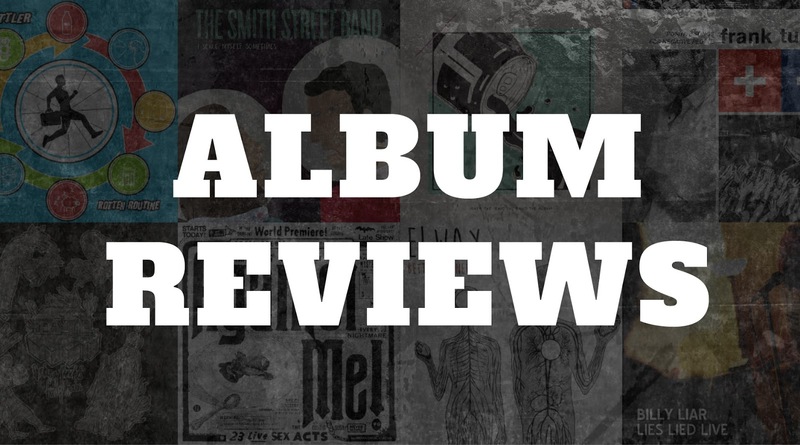 I have loved Rehasher since I heard their debut album Off Key Melodies almost fifteen years ago and have excitedly checked out all of their releases since. Emma and I were also lucky enough to catch them live a few years ago when we visited Gainesville for The Fest. Knowing what a big fan I am of both Rehasher and Less Than Jake, Be Sharp's Paul let slip that he was in talks with the band about five months earlier and that blew my mind. When it was finally confirmed at the beginning of October, I actually did a little jump of celebration. This eclipsed any band announcement of the entire year and I excitedly awaited the day to arrive. As ever with a Be Sharp gig at the New Cross Inn, the line up was stacked from start to finish. Opening the evening were a new band for me – Sharp Bones. This five chaps were only playing their third show as a band but you couldn't tell based on the musicianship demonstrated throughout their set. 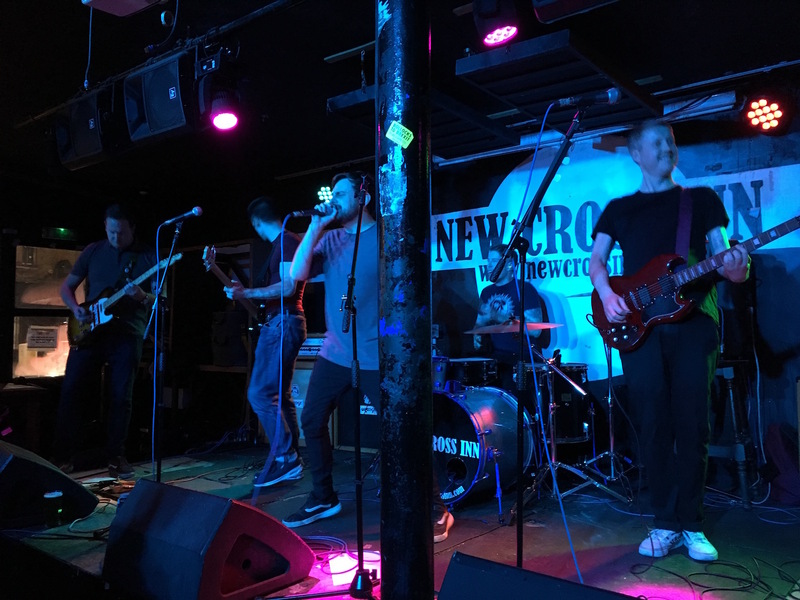 Playing a heavy form of pop punk, Sharp Bones had the steadily growing crowd at New Cross hooked with a powerful display. The band's frontman really brought the energy and charisma as he prowled around the stage. He also showed off some impressive microphone swinging skills during the set. Side note: I always get worried when a singer starts swinging the microphone around that it might come loose and disaster might strike! Sharp Bones finished an impressive set with the song Sea Of Doubt which features Nick from Hit The Lights on the recorded version. Up next were London/Brighton-based super fast skate punks Fastfade. Or as Eat Defeat described them, "Captain Everything's sons." 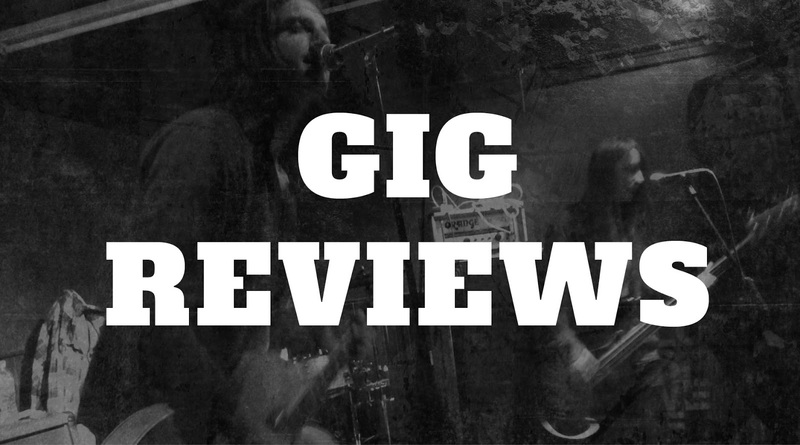 Fastfade are going to become one of the most talked about bands in the UK sooner or later, they're that good. Ryan, Joe and Jake are just about to release their debut album We're Happy If You Aren't on Umlaut Records. It's an album that I've been lucky enough to be sent an advanced copy of but I resisted listening to it as I wanted to check out some of the tracks live first. Spoiler, the new songs are sounding incredible. This is my fourth time seeing Fastfade live and I always come away feeling so impressed. The trio are clearly are intent on having the most fun and creating the most carnage they can together on stage with guitarist Ryan and bassist Joe constantly fighting each other on stage – at one point Ryan even fell off the stage. Fastfade are such a great band and this was definitely the best set I've seen them play. It felt somewhat like they were playing the headline set, they put in such a big performance. 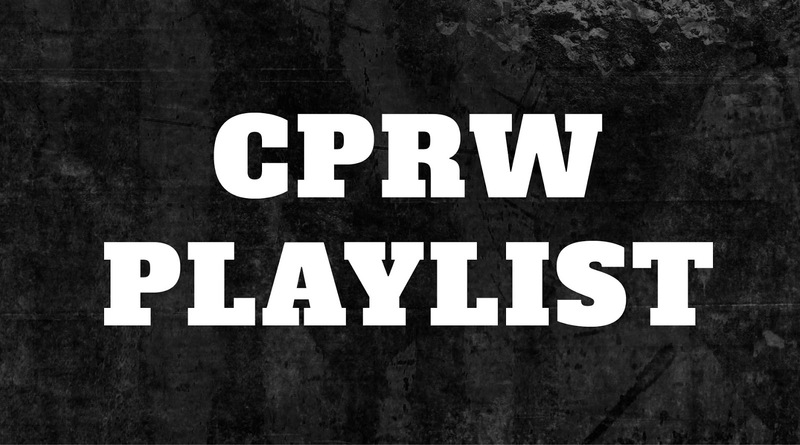 Keep a lookout on CPRW for our review of We're Happy If You Aren't and if you having climbed aboard the Fastfade train yet I suggest you do but, hang on tight, it's going to be a wild ride. Fintan Stack were another band playing only their third gig together. 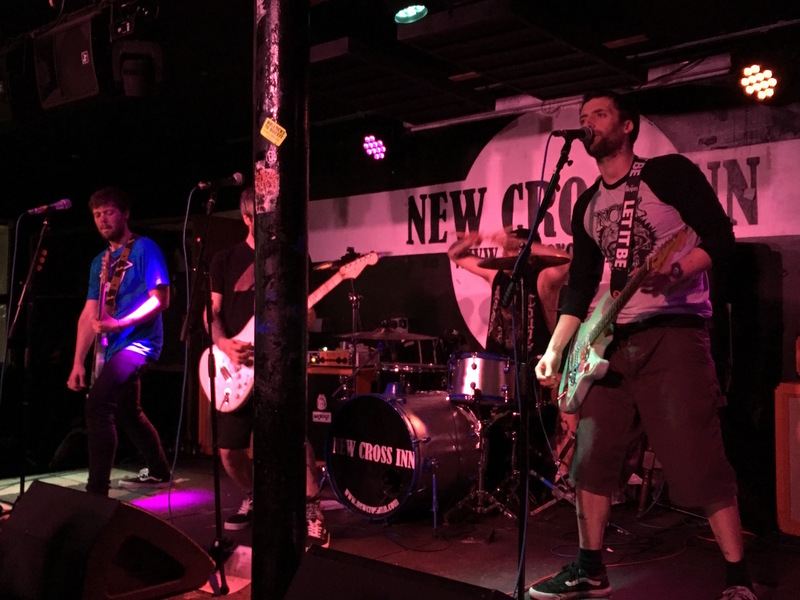 We've also attended the other two, supporting Red City Radio and The Penske File at the New Cross Inn. Before the set I'd been telling some new pals, who had yet to see Fintan Stack, how good they are and how excited I was to see them. Of course they didn't disappoint and during the set the pal told me they they're really good. Fintan Stack are really good at highlighting their strengths, with co-vocalists Adam and Duncan really shining. Both these guys have really powerful voices that work really well together. Some of those harmonies make me so happy. Their two singles Nap All Day, Sleep All Night, Party Never and I'm Done are obvious highlights and I enjoyed having a sing-along to two of my favourite songs of the year but I'm itching for these chaps to get back into the studio and record some more music. Fintan Stack are my favourite new band of 2018. It's not been long since we last saw Saving Sebastian, playing the Fandangle all dayer at the beginning of the month. I enjoyed them then but this set was when I really got on board with the band. This weekend they were recording some new songs with Fandangle's Andy Baker but jumped at the opportunity to get on this bill. I guess this meant they were at their sharpest musically and it really showed. Now I've never been involved in recording music but I imagine it's quite a tiring process, so for the band to play with as much energy as they did was quite something. These guys weren't stationary for a single second as they blasted through their 2000s inspired pop punk gems. We all know how much I love a band with multiple singers and it works so well with Saving Sebastian's sound – it really amps up the energy even more. They're also such fun to watch on stage as they jump around the stage or, at times, in the crowd. There was a cool moment where Cereal Box Heroes Conor Yates, who was only there as a fan, joined the band on stage for a Blink-182 cover which went down a treat with the New Cross crowd. 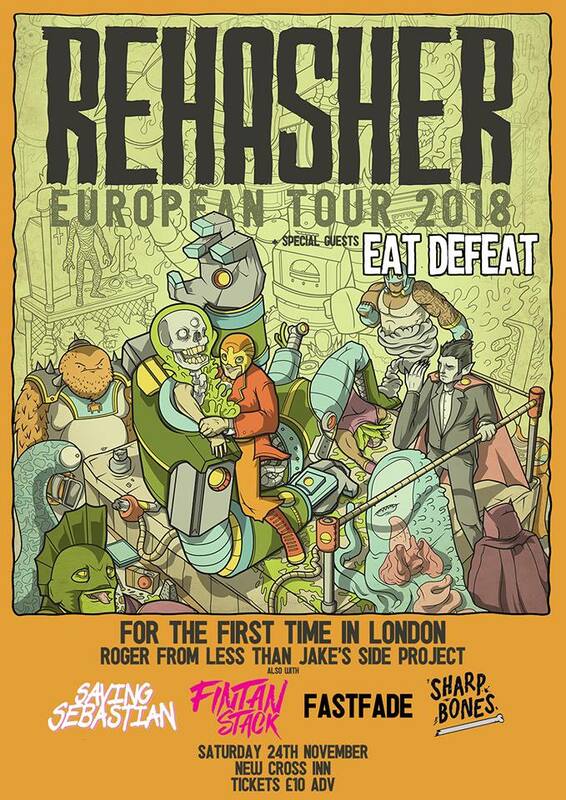 The main support for the evening and for the UK leg of Rehasher's tour came from Eat Defeat. 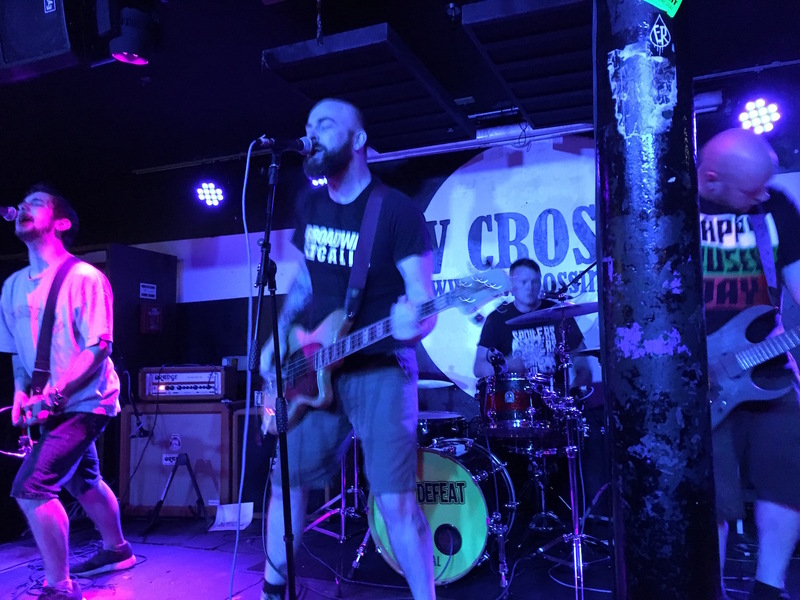 At this point I think it's fair to say that Eat Defeat are New Cross Inn legends and always provide super memorable moments whenever they take to the stage. Despite vocalist Summers suffering with some illness and drummer Stephen having a couple of cracked ribs, Eat Defeat put on yet another absolutely stonking performance. Starting out with the brilliant Smile from their excellent 2018 album I Think We'll Be OK, the crowd down the front erupted for Eat Defeat with plenty of huge sing-alongs and so much energy. Because Summers’ voice was struggling throughout the set, Eat Defeat had a couple of guest singers join them. CBH Conor again took to the stage to sing DIYTanic and Joe Fastfade sang Nothing's Wrong to great receptions. You do wonder what those not associated with the New Cross family made with these random folk jumping on stage to sing the songs but I thought it was great fun. Of course, they finished with Not Today Old Friend which got the biggest sing-along of the night thus far as the entire crowd as the New Cross belted out “I Think We'll Be Okay!”. Eat Defeat played a set that could have easily been a headline set and sent many people home very happy. 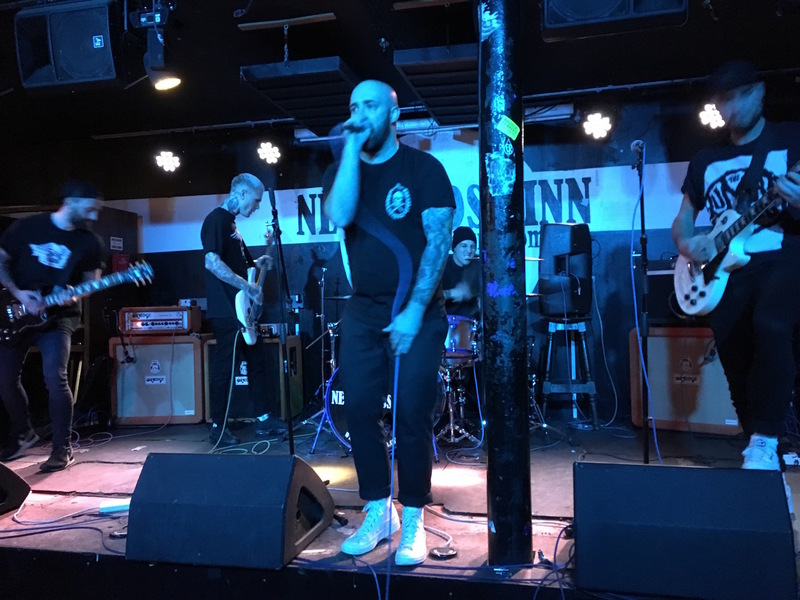 I don't think there is a better pop punk band in the UK at the moment, their best New Cross set yet. 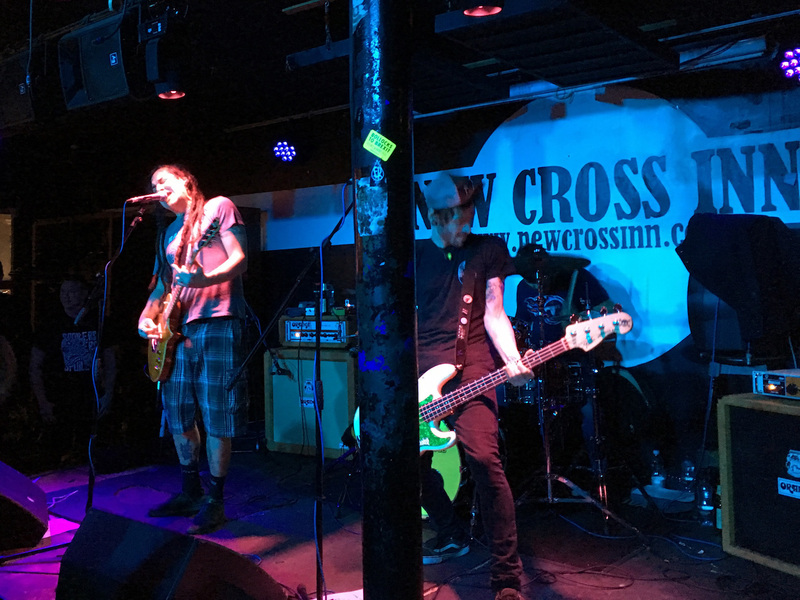 It was now time for Rehasher and I can't remember a time when the anticipation was so high for a band at New Cross – and you've read the list of bands that have passed through the door at the beginning of the review. (Unless you have for some reason skipped to the end, I bet you feel quite silly now don't you?) To me, it felt like the room was a bit split. Half of the room were super excited for Rehasher and the other half were excited because Roger from Less Than Jake was playing the New Cross Inn – which was huge, this is ska kid central. A big crowd gathered around the front of the stage ready to go absolutely wild. As soon as they opened with Compass someone did a big stage dive and we were off. Rehasher play fast punk rock that never seems to slow down, this really suited the crowd as they clearly had one speed and that was GO! The band, completed by Tony on bass and Alex on drums, looked so pleased with the reactions they were getting as they blasted through songs from all of Rehasher's discography and we were also treated to a couple of new tracks that are due to be recorded next year. From the two songs that they played, I'm already looking forward to this release. I love that Roger manages to find the time for Rehasher despite his very busy schedule with Less Than Jake. It was also an absolute pleasure to hear some classic Rehasher tracks from Off Key Melodies, with One Shot Deal, Average, Sinking and Lift! all making appearances. With every song there seemed to be more and more people stage diving and the pit just became crazier and crazier and it was clear that the band were loving it. The crowd really lost their minds when they played a sped up punk version of the LTJ classic Dopeman. This was a proper punk rock show, filled with passion, energy and plenty of smiling faces. This was a special moment not just for the fine people in the New Cross Inn crowd but I'd predict for the band as well. I don't know if Rehasher will ever find their way back to the UK but the UK crowds have definitely shown how much they're loved over here and really appreciated the effort that went into getting them here. And maybe if Rehasher don't come back, Roger will have seen just how incredible the New Cross Inn is and will suggest his other band play an intimate show there instead. This review was written by Colin Clark. Photos by Emma Prew. News: Level Up 2019 Announcement!